All digital SLRs and many compacts can save shots as Raw files, which contain all the information captured by the camera sensor without in-camera processing. The photographer can then use the free Adobe Camera Raw (ACR) editor in Photoshop or Elements to process and "develop" these Raw files. This comprehensive 228-page guide introduces the ACR controls and tools, and shows how to use them to produce photos with greater tonal detail and richer colour. It includes step-by-step, hands-on projects that will help you get to grips with ACR and learn how to get more from all your photos (it even shows you how to use ACR on your JPEGs and TIFFs too). 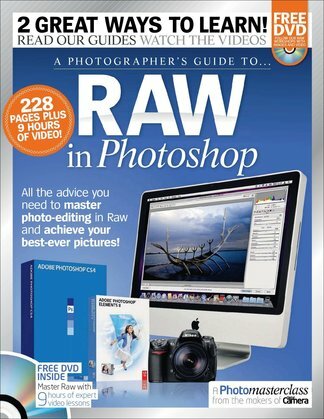 Be the first person to tell us what you think about A Photographer&apos;s Guide to RAW in Photoshop and you'll save $5 on your next purchase!